I don’t know about you but my first reaction to this phrase has always been negative. So I was surprised when this was the message today. 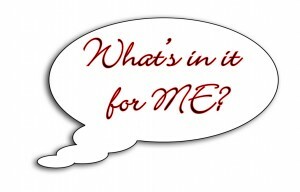 Today we are told the “What’s in it for me?” is NOT wrong thinking. It is RIGHT thinking. How can this be? Well let’s think here about what we already know. We know that in every moment we are both a learner and a teacher. 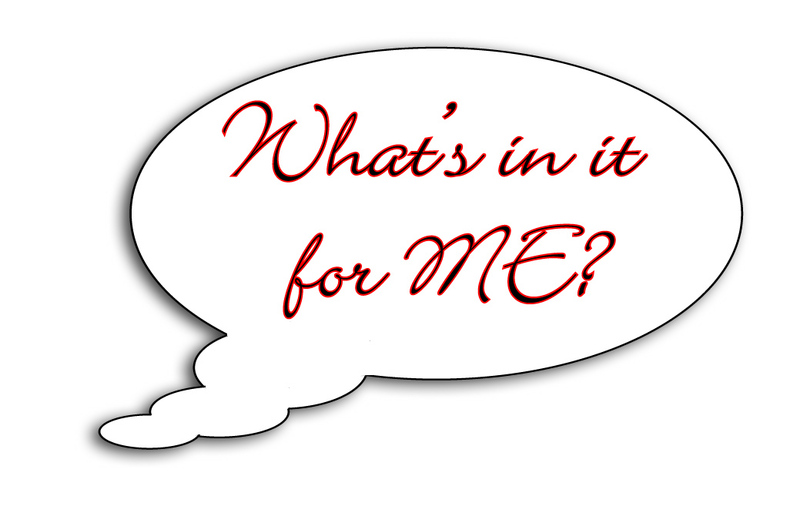 So, of course, we should be asking “WIIFM?” Whether it is a phrase we are reading, a cloud formation we notice, animals crossing our path, a conversation we are having, or some random act…..”WIIFM?” is exactly what we should be asking. What am I supposed to be getting and giving in this moment? When we look at it this way, “WIIFM?” carries a whole new light and attitude, doesn’t it. Why the shift? It is because everything carries the intention behind it. Remember saying something carries very little weight. It is the intention and body, mind and soul belief behind it that creates the reality. “WIIFM?” is exactly what we should be asking ourselves. It is how we grow both as a person and as a culture. That is the HOPE. -Meditate. Go to your peaceful center and listen. As you practice meditation you will find it easier and easier to go to that place whenever you need to. -Get outdoors and take at least 10 deep breaths. -Try to “notice” moments today. Journal them. Why do you think these were the moments you especially noticed? -Peanut so thoughtful and kind. -A nice turnout for Larry’s memorial. It was good.